What’s the celebrity procedure that keeps the stars looking “unaged” for years? Find out at our Sculptra Soirée! You’re Invited to Get Gifted and Gorgeous! The makeup contouring trend is all the rage, but wouldn’t you prefer to have the look without the daily routine? Restoring your youthful contours or augmenting your cheeks has become a very popular treatment. If you’re interested in natural-looking results that can make your makeup contouring routine obsolete, talk to your dermatologist about trying one or more of these treatments. Sculptra Aesthetic is an injectable treatment that gradually stimulates growth of your own collagen! In the months after your treatment, Sculptra can restore more youthful skin and contours, lifting and creating definition where you may have lost it over the years. On average, three sessions over a few months can last for more than two years – so you can skip all the daily bronzers and highlighters. Voluma, also a soft tissue filler, is a unique injectable gel specifically made for instantly volumizing the cheek area – which can lift the mid and lower face, including the jowls and jawline! A treatment with Voluma can help restore contour and a more youthful profile, and can last for up to two years! Kybella is an injectable treatment for contouring and improving the appearance of submental fullness, frequently referred to as ‘the double chin’. Made up of a naturally occurring molecule in the body, this treatment actually aids in the breakdown and absorption of fat for a more defined, younger-looking jawline. During what is called “the Nefertiti Lift” procedure, BOTOX Cosmetic is injected into the vertical bands in the neck, resulting in a more defined jawline, a smoother neck, and prevention of the pull-down that leads to the turkey neck look. Board certified Dermatologist, Dr. Quenby Erickson, sometimes uses one or more combinations of these treatments to achieve significant, yet natural-looking results. …without spending all morning in your makeup mirror. It’s the celebrity procedure that keeps the stars looking ‘ageless’! Learn how Sculptra Aesthetic can reduce your wrinkles, reinforce your skin’s structure, replace lost volume, and help to refresh your appearance! Join Us THIS Thursday, October 15th from 4:30-7:30 for an annual event for Clients and Friends, Neighbors, and Fun! We’re partnering with our neighbors at Dr. Neal Nealis’ office on the Ninth Floor to mingle, offer many fabulous raffle prizes, & enjoy (you guessed it!) wine & hors d’oeuvres. 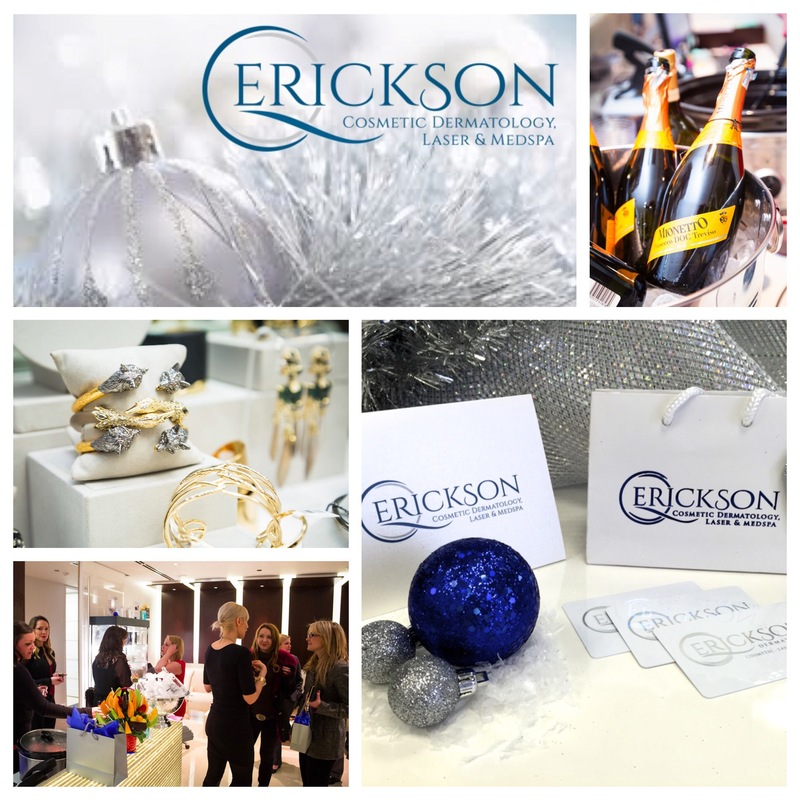 While you’re here, watch live demonstrations, including BOTOX Cosmetic and Coolsculpting, enter to win amazing raffle prizes, and enjoy exclusive event pricing on Coolsculpting treatments! Join Us for Wine, Demonstrations, Raffles, and Fun on Nine! You’re Invited to Wine on Nine! 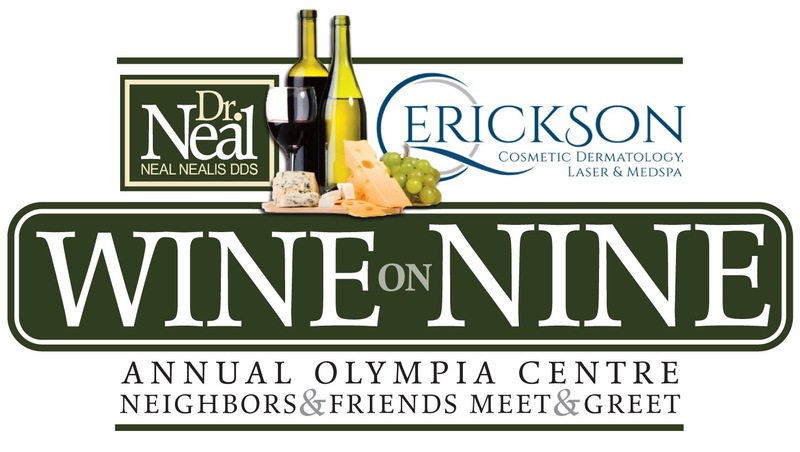 Please be our guest at “Wine on Nine”, an annual event for Friends, Clients, & Neighbors! While you’re here, watch a live Coolsculpting demonstration and enjoy exclusive event pricing on Coolsculpting treatments! Even dating back to Nefertiti – who was known for her elegant profile – a long, smooth, young-looking neck has been a gold standard symbol of youth and beauty. Contemporary women are now availing themselves to early intervention and corrective, high-tech procedures to tighten, plump, smooth and slim with little or no downtime – and neck treatments are more popular than ever. Neck Treatment Popularity: Why Now? Since injectables (fillers and BOTOX) and laser treatments (like Halo and BBL) became popular and accessible, many women found that having facial wrinkles or discoloration was no longer inevitable. But while the facial skin may look beautiful, the untreated neck can reveal years of sun damage, hereditary sagging and drooping, spotty skin and lumpy fat pockets. The numerous options for non-surgical treatment, paired with the thought of having a wattle or a falling chin is enough to make younger women jump into prevention – and women of many ages to seek correction. Maintaining the skin in earlier stages will potentially set you up for less correction later. “The benefit of starting young is that you will need less drastic treatments in the future,” says Dr. Erickson. 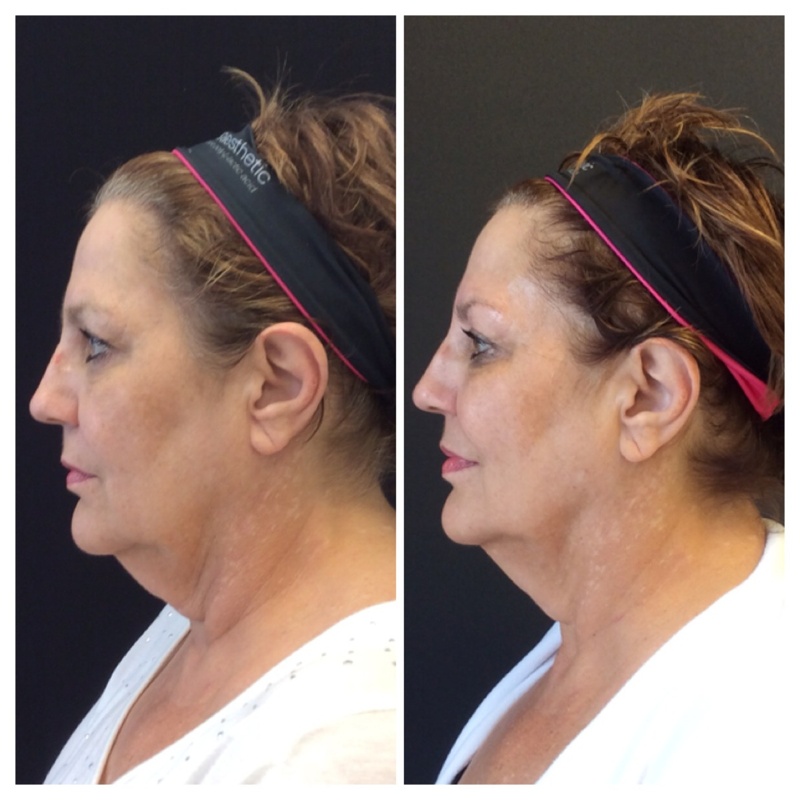 Dr Quenby Erickson injected BOTOX Cosmetic into the platysmal bands to recontour the neck and jawline without surgery. Many people (men and women) who are most troubled by the dreaded double chin are not yet at the midcentury mark. “Some people were born with submental fullness (fat under the jaw). 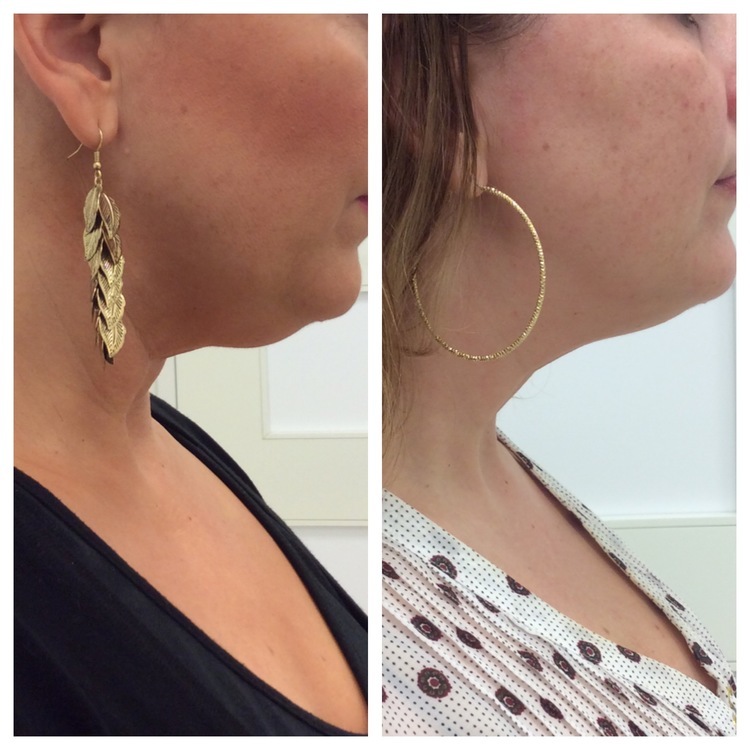 Kybella is a great tool to slim and smooth for anyone who notices a little extra fat,” says Dr. Erickson. In the 40s, gravity kicks in, resulting in laxity, sagging, looser skin, and free-falling fat. “The element of correction starts in the 40s” says Dr. Erickson. “By the time you’re 40, you have some sun damage that needs to be reversed. Those thin and ropey cords under the chin can get stronger and tend to protrude while contracting in the 40s. “This causes a softening of the curve between the neck and the chin – softening into a curve that used to be more like a right angle when you’re younger” Botox can relax this, making the jawline more defined and prevent the cords from becoming even stronger. 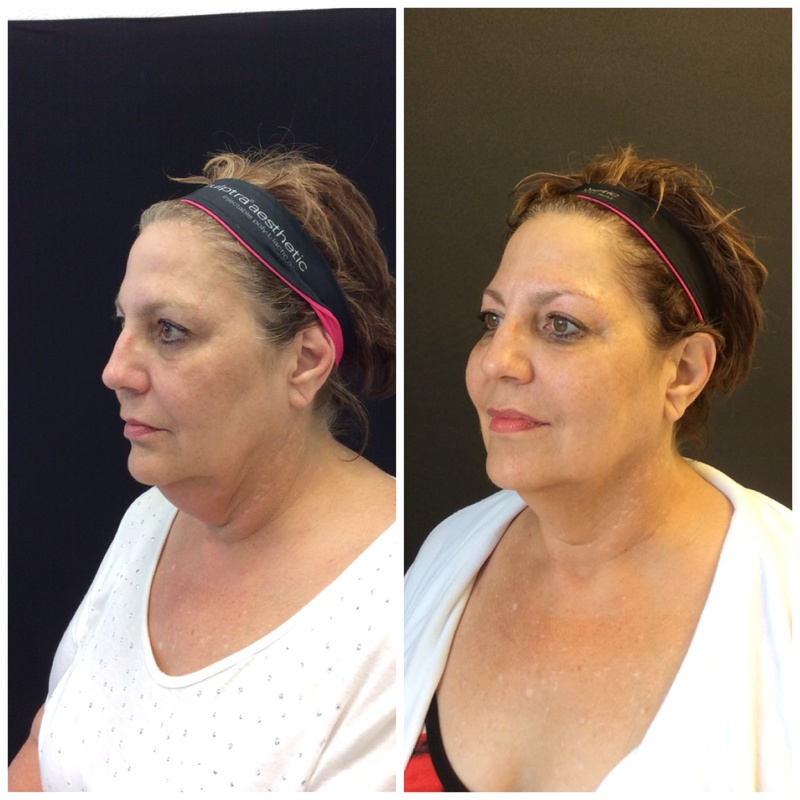 The Nefertiti Lift procedure results in a more defined jawline, a smoother neck, and prevention of the ‘pull-down’ that contributes to turkey neck. While double chins can occur at many ages, they can also come along with age as the skin becomes less taught, sagging sets in, and we naturally gain some fat. 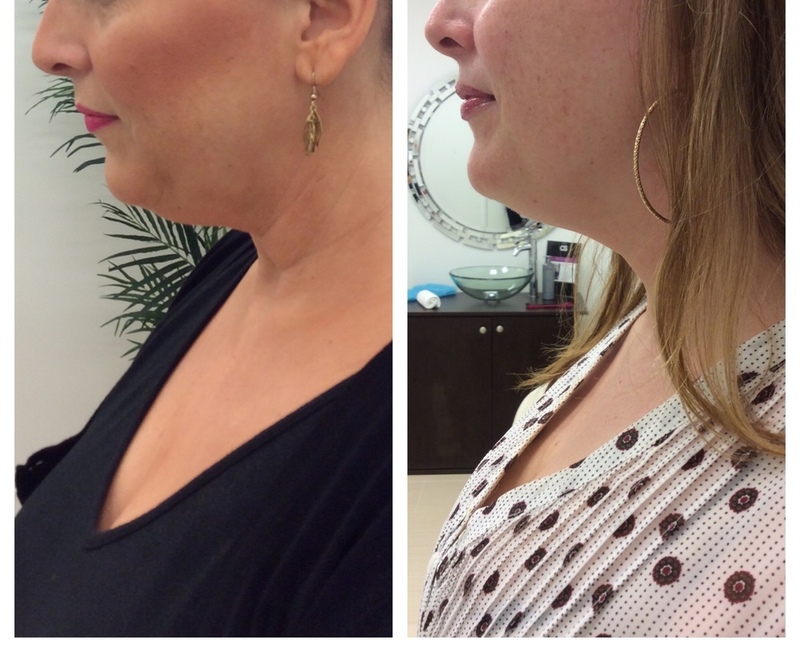 Kybella is injected into the subcutaneous fat (fat under the skin) to destroy the fat cells and smooth the area. “If you have horizontal lines, then you want to get a filler sooner than later to prevent them from getting deeper” says Dr. Erickson. “Nectifirm is a powerful antioxidant and peptide-based treatment cream formulated to address the changes that occur as the skin on your neck ages. My patients love it.” says Dr. Erickson. These platysmal bands continue to cause a softening of the curve between the neck and the chin – an area that’s more like a right angle when you’re younger” Botox can relax this, making the jawline more defined and preventing the cords from becoming even stronger over time. As skin loses more of its tautness, treatments like Halo laser and MicrolaserPeel are essential to correct and stimulate new collagen. “Crepey, thin skin becomes more taught and smooth with numerous, gentle treatments,” says Dr. Erickson. Dr. Erickson goes on to explain that Pelleve treatments are often used to stimulate collagen to firm and help to make skin tighter and more plump. In addition to filling horizontal lines, fillers can be used to boost temples, lift cheeks, and fill the hollows below the mouth. 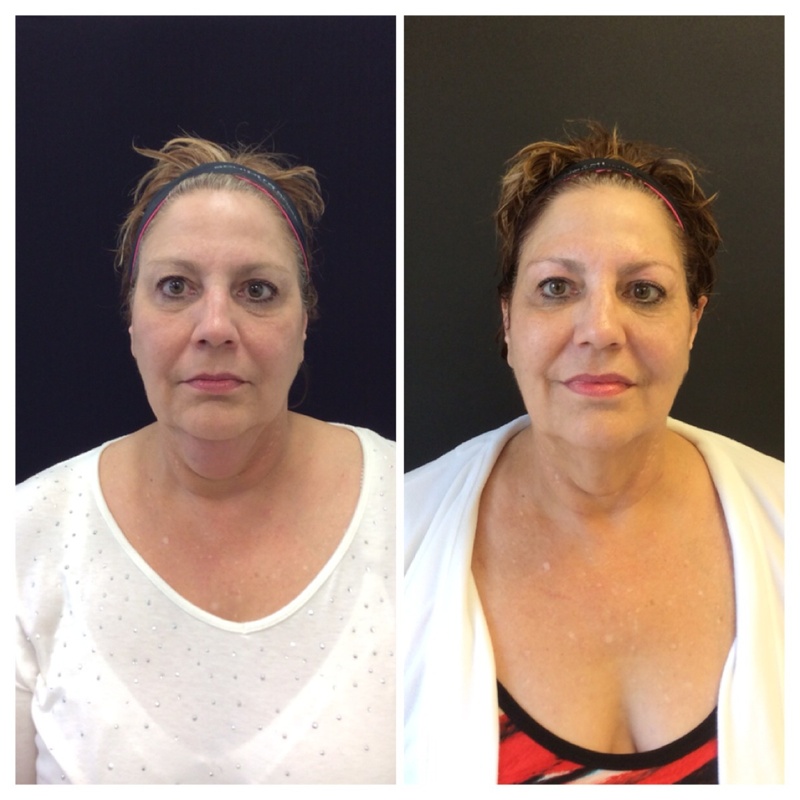 Fillers can also help to uplift and fill jowling-areas, contributing to a smoother and more elegant look. Turkey Necks or “wattles” can occur at many ages, but can be common in the 50’s, 60’s and 70’s. 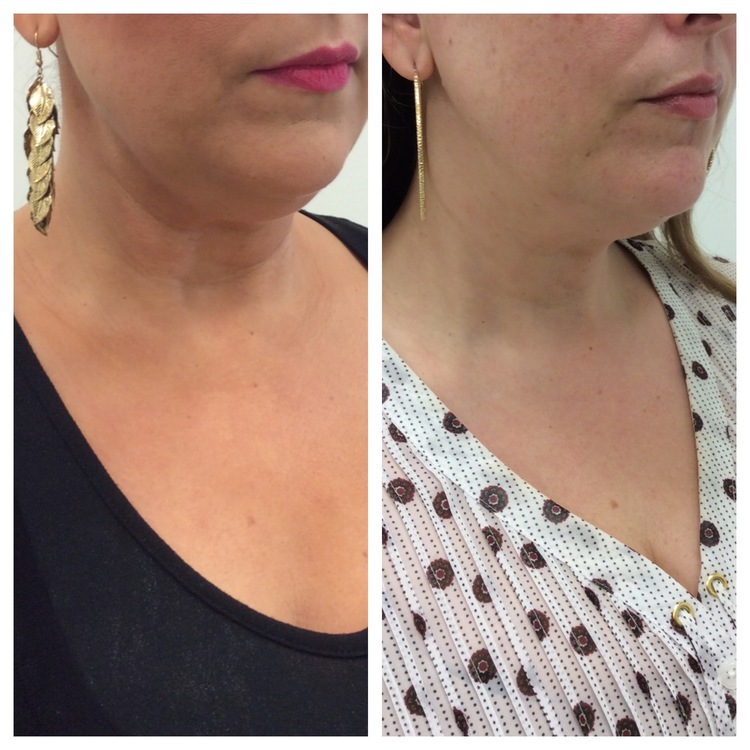 Kybella is injected into the subcutaneous fat (fat under the skin) to destroy the fat cells and smooth the area. “Nectifirm contains powerful ingredients designed to rejuvenate your neck area by treating it differently than the skin on your face. Continuous use of this product really seems to make a difference in the skin.” Says Dr. Erickson. In the non-surgical world, ‘quick-fix’ is a term that goes hand-in-hand with ‘magic wand’.